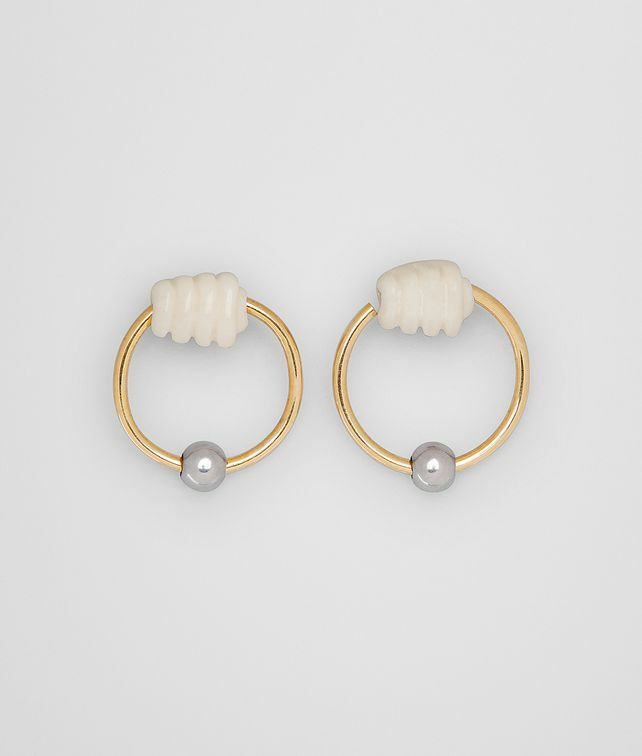 These hoop earrings are made from sterling silver with a warm gold finish accented by a sliding sphere and a closed hand made of ox bone. The Spring/Summer 2019 jewellery collection features charms and talismans, imbued with meaning. The closed hand symbolises strength. Hand: 0.9 cm x 0.9 cm x 0.7 cm | 0.3" x 0.3" x 0.2"
Diameter: 1.9 cm | 0.7"